In this special edition article, we give you details of the most exciting upcoming summer music events and performances from all styles of music. Truly, “Music is the answer!” Last August, they were thousands chanting “Music is the answer” at Cannes Electronic Beaches, a few days after the truck attack on the Promenade des Anglais. People were not even afraid! People wanted to live and to live life to the fullest, with their ears full of music. The message remains current. The summer season 2017 is sure to deliver: the Côte d’Azur has lost neither its artistic vitality nor its attractiveness. On the contrary. A year after this disastrous 14 July that put the region in mourning, but also sparked a wave of economic and tourism slump, the summer of festivals looks grand. A vintage year to toast to life, in music. “We are going to make sure that Nice regains a taste for partying and music,” explained Leatitia Barbouteau, director of the city event. “We can never turn the page. It is rather a rebirth. We were frustrated last year. We were impatient with the idea of ​​again offering entertainment to Nice. They probably need it now more than ever.” The 14 July attack had generated a wave of cancellations: Nice Jazz Festival, Nice Music Live, Rihanna, Laughter Beaches. The music was temporarily killed, too, at Juan or Vence. The Promenade des Anglais had decided to remain silent for a year. After the time of mourning, the recovery will begin smoothly. “There will be the commemorations of 14th July. Then, at midnight, we will go from the darkness to the light,” according to Leatitia Barbouteau. It is a strong desire of the municipality of the city hall and the head of the metropolis, to relaunch the activity with a programme focusing on quality and inventiveness. Done! The Nice Jazz Festival by Sébastien Vidal, with Herbie Hancock as a prestigious presence, looks promising. In July, the public of Nice will catch up with their missed appointment with Ibrahim Maalouf and The Avener. 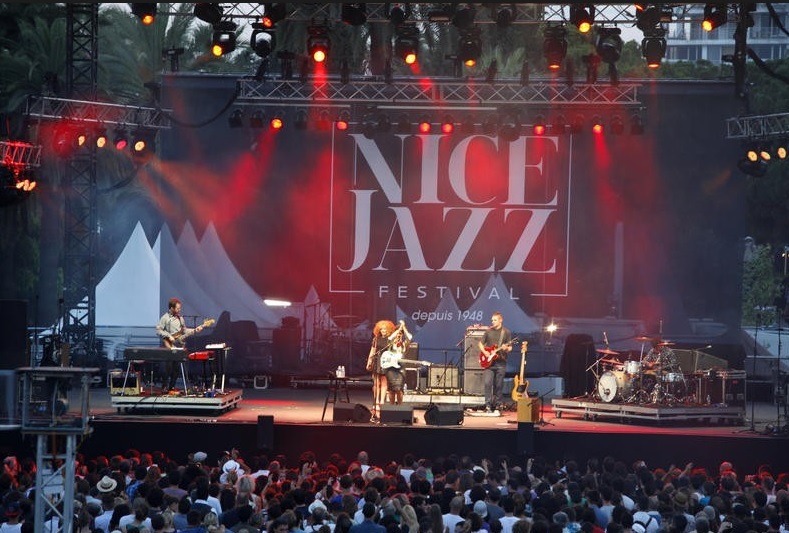 From 16 to 20 August, Nice will resuscitate its folk festival dormant for more than twenty years! Though it can’t heal wounds, music softens us and soothes the heart. On the eve of the charity game Bleus 98 at the Allianz Riviera, it is the world of music that will mobilise for the victims of 14thJuly. On 16 June, Anne Carrère and her Nice musicians reinvent Nice Opera with “Piaf! Le spectacle”, the show that has conquered a million shows worldwide, all the way up to Carnegie Hall in New York. The profit will go to the victims of the attack, the fruit of the voluntary investment of artists and technical teams. Expect strong emotions. Cancelled last summer due to the attack, the oldest jazz festival in the world (1948) returns in force from 17th to 21st July, with a prestigious and eclectic set that radiates the joy of living. Sponsored by the pioneer Herbie Hancock, this edition of the Festival combines high-end jazz (Henri Texier, Tony Allen …), hip hop scene at its best (Mary J. Blige, IAM, DeLaSoul …), funky groove vagabonds GM-, Deluxe, Chinese Man …) and, as a symbol, the unifying breath of trumpet player Ibrahim Maalouf, one of the artists who should have played last summer. He too should have regaled the Place Masséna in 2016, before seeing his city attacked. Tristan Casara, aka The Avener, was re-scheduled this summer at Nice Music Live, which takes over the Nice Jazz Festival from 22 to 26 July. The DJ from Nice who has conquered dancefloors around the world will be accompanied by Synapson and Nicolas Monier. Another event: the concert-recall of the band to Jean-Louis Aubert (the Insus, the 22nd), the rising star Jain (the 24th) and the performer with the acrobatic voice Camille (the 25th). Again, Nice catches up with their missed appointments. And beautifully so. 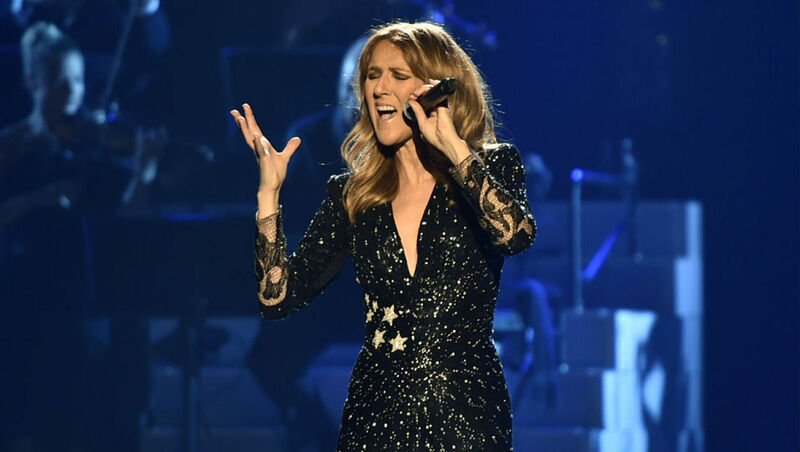 After the previously cancelled concert of Rihanna on 15th July, Céline Dion will deliver the first mega-concert at the Allianz Riviera since its inauguration in 2013. Tickets for her show on 20 July – the last of her French tour – were sold out in an hour. Last summer, Nice had less reason to laugh. The attack on the Promenade des Anglais cancelled in 2016 the “Plages du rire” or Laughter Beaches, but they will resume from 6 to 9 August. Elie Semoun will be there this time, and Artus will showcase his talents as an outstanding comedian after shining on Dancing with the Stars, then pass the torch to Camille Lellouche. Meanwhile, there will be a song interlude with The Ketanou Street. To know the further program of all music events on the French Riviera, read our next articles on the subject and stay updated by following HelloMonaco!